Please join Governor Tom Wolf’s Advisory Commission on Asian Pacific American Affairs for their 3rd Annual Philadelphia Asian American & Pacific Islander (AAPI) Town Hall held in partnership with the Pennsylvania Board of Pardons. 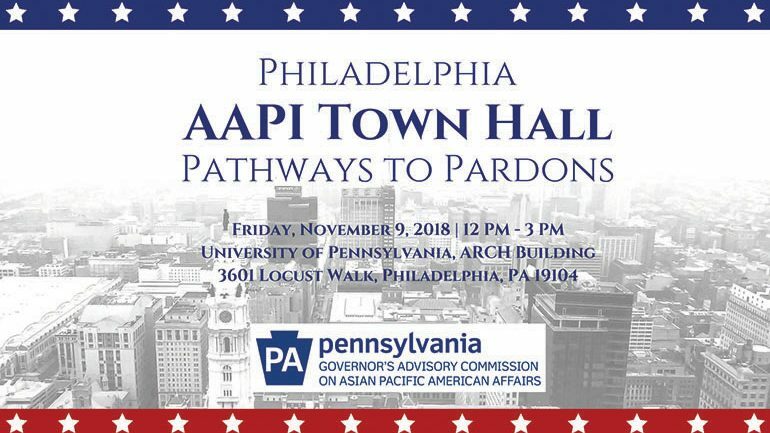 This year’s Philadelphia AAPI Town Hall will focus on pathways to pardons and the role and function of the Pennsylvania Board of Pardons. Furthermore, provide a better understanding of what a pardon is and what the process entails to apply for one.